Posted on August 30, 2018 at 5:43 pm. I ran into JP, one of my old high school buddies, at the market. I think it’s been about 10 years since I’d last seen him. He told me about his oldest kid, who just turned nine. Apparently, she’s about to start school at some fancy new place designed to help gifted children. I think that’s awesome, and I made sure to tell JP exactly that. But he told me about the things his wife is doing to “help” their child. Apparently, they let her schedule her own time, work on things as she sees fit and basically do as she pleases. I didn’t want to say anything, but these seem like things you wouldn’t do to raise a gifted child. Then again, what do I know about the topic? As parents, we’ll do anything and everything for our children’s safety, well-being and happiness. After all, everyone wants what’s best for his or her little ones. However, this can often take on a different meaning when talking about gifted children. 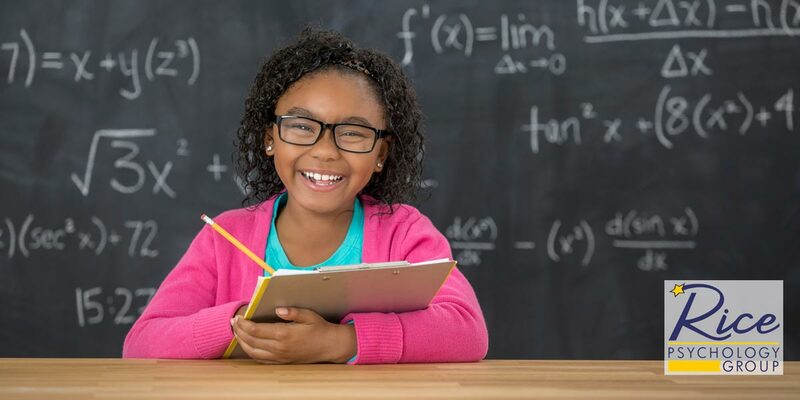 As we discussed in a previous blog, gifted children are those who demonstrate off-the-chart levels of aptitude in one or more areas. Being gifted can open up many different doors for your children, but it can additionally leave many parents confused and wondering how to support and raise a gifted child. The truth is, there is no perfect way of raising a gifted child. There are, however, a few do’s and don’ts from our Tampa psychologists you should definitely keep in mind. To prevent underachievement, it’s important that you give your child intellectual challenges. Offer your child problems and situations that require them to put their minds to work, and it’s okay if they get frustrated. It might sound mean-spirited, but your inquisitive gifted child may lose motivation or even start showing problematic behaviors if they constantly finish their work in half the time it takes their peers. Another major thing you can do is teach him/her how to prioritize, schedule and reject. Many gifted individuals know that they can get more done in less time than most, which leads to getting over-involved, which can then lead to stress. To avoid this, teach your child to take their time to pick and choose. A gifted child needs recognition just as much as any other, but sometimes parents can overlook this fact. Make it a point to notice when your child is working hard at something, handling challenges and problem-solving on their own. When you see this, let them know specifically how what they are doing is terrific. Be specific and, rather than complimenting your child’s innate intelligence, focus on their perseverance, creative thinking or willingness to be helpful to others. Those are traits that they can continue to develop and will serve them in good ways as they grow up. Being gifted doesn’t mean your child is now the head of your household. Click To TweetBeing gifted doesn’t mean your child is now the head of your household. Remember, you’re ultimately in control of the decisions. After all, your child is not nearly as experienced or wise as you are, and they should not be put in a position where they can easily undermine your authority. With that said, try not to let that authority go to your head. It’s important to not fill your kid’s schedule to the brim. Yes, provide challenges, but you need to be careful to avoid overdoing it. Instead, try to choose activities with your child’s input and, if possible, schedule any extracurricular activities on “easier” days so that they have a nice mix of scheduled and unscheduled time. As a parent, you may be inclined to put your child up on a pedestal for others to admire, marvel at or compete with. However, doing so is likely to embarrass or alienate your child enough that they will tone down their abilities to avoid being disliked by others. You may mean well, but unfortunately, sometimes parents’ best intentions can have unexpected negative consequences for their children. Parenting a gifted child is one of life’s most rewarding and sometimes challenging experiences. Click To TweetParenting a gifted child is one of life’s most rewarding and sometimes challenging experiences. We wish we could offer you a no-fail manual on how to do it, but kids are a work in progress and no two are exactly the same. Luckily, the licensed therapists at Rice Psychology Group are extremely well-trained and well-versed in guiding parents and gifted children through this adventure. If you’re reading this because you think your child may be gifted but have not yet had him/her evaluated, then we’re here to help. Our Tampa psychologists are fully prepared to evaluate your child in a professional, caring and comprehensive manner. Contact us today for more information about our services. Gifted or Bright: Can You Spot the Difference?